I was in need of help. It came at the right time. Immediately after the worst typhoon to hit central Vietnam in recent memory, Bui Thi Hau faced a decision with far-reaching consequences. 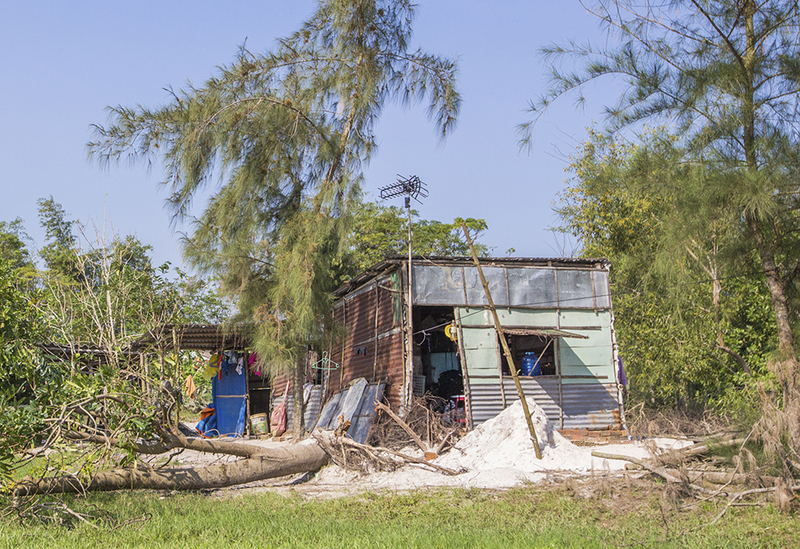 As she surveyed the destructive path Typhoon Damrey had cut through her small village in coastal Quang Nam province, the storm’s potentially lasting impact on her family became clear. The storm’s 84 mph winds and heavy rainfall had flooded the family’s stock of rice, a vital food source. “We found the house covered in silt and much of the rice had been washed away. This left us in a bad situation. We needed to replace it [the rice],” says Hau. 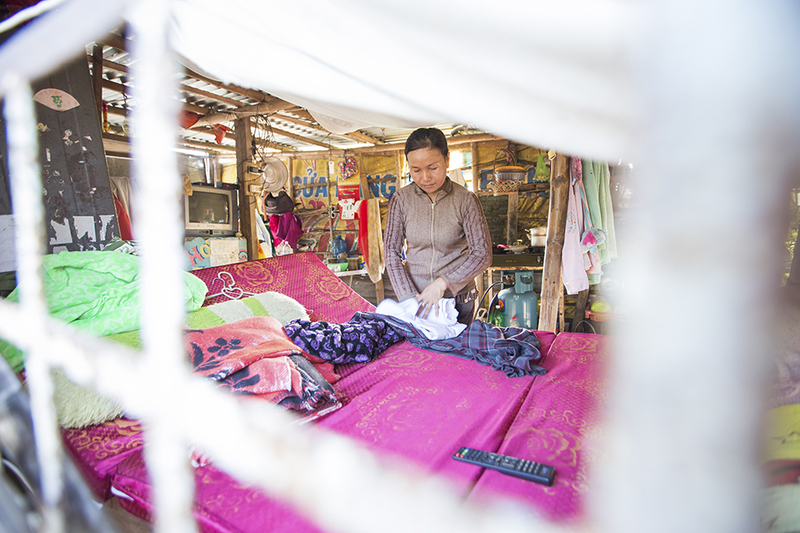 Without support she received from Catholic Relief Services, Hau—the breadwinner for her 10-year-old daughter and her husband Bui Thi Hoang Ngan, who has a disability—might have been forced to use predatory lenders to meet basic needs and repair their property. CRS rapidly mobilized financial support from the Start Fund for a 45-day emergency response project in partnership with local authorities. “I was in need of help. It came at the right time,” says Hau. For Hau, replenishing her family’s rice stocks and replacing household possessions would have meant getting a loan with 20% interest. As a construction laborer earning about $6.50 a day, it could have taken a year to repay. 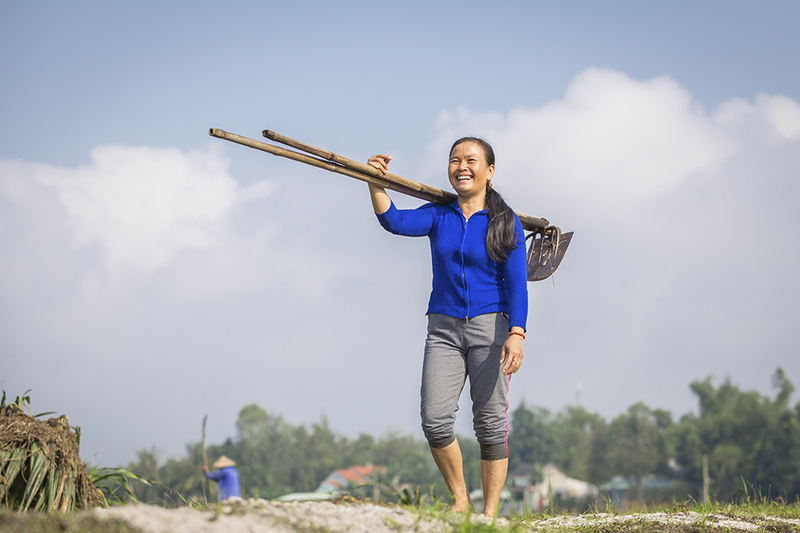 There is little work during the wet season, and Hau was already financially stretched paying off a loan from a Vietnamese government project to get poor families out of temporary housing. Thousands of families were in similar circumstances after the typhoon, which left 107 people dead and affected 15 central provinces. Since timely assistance is critical to recovery, CRS developed our rapid response within 24 hours of the typhoon. The project is based on results of a rapid needs assessment. CRS, as a trusted development partner in Vietnam with a history of working in the province since 2005, was well positioned to meet the needs of affected people immediately after the storm hit. In Vietnam, the project districts—Dai Loc, Dien Ban, Nui Thanh and Thang Binh—had been impacted severely by the typhoon. Half of their residents suffered livelihood and income losses and many, like Hau, were in vulnerable temporary shelters. CRS took a three-pronged approach to reach 25,277 direct beneficiaries and 7,622 households in Quang Nam province. We provided 4,555 hygiene kits, distributed 300 shelter kits and made 2,767 cash transfers. Hau received $33 in cash almost immediately. “We are very grateful it came so fast,” says Hau. 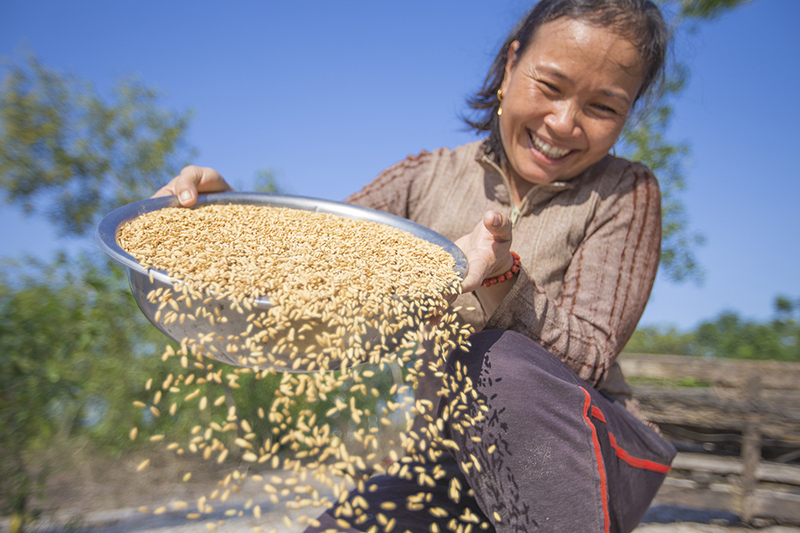 With the money, she bought enough rice and other food to feed her family for 30 days. Importantly, the cash transfer also was enough to purchase seeds to grow morning glory and mustard greens lost in the storm. A harvest was expected within 45 days. Hau says this is different from her experience after previous floods, when often the family could afford to eat only twice a day. CRS support after Typhoon Damrey ensured the family’s nutritional needs—and international standards for food security—were met. Along with our emergency response, CRS is also supporting provinces to enhance their resilience as part of long-term recovery. With a long coastline and a population that relies predominately on farming, Vietnam is among the countries most vulnerable to climate change. 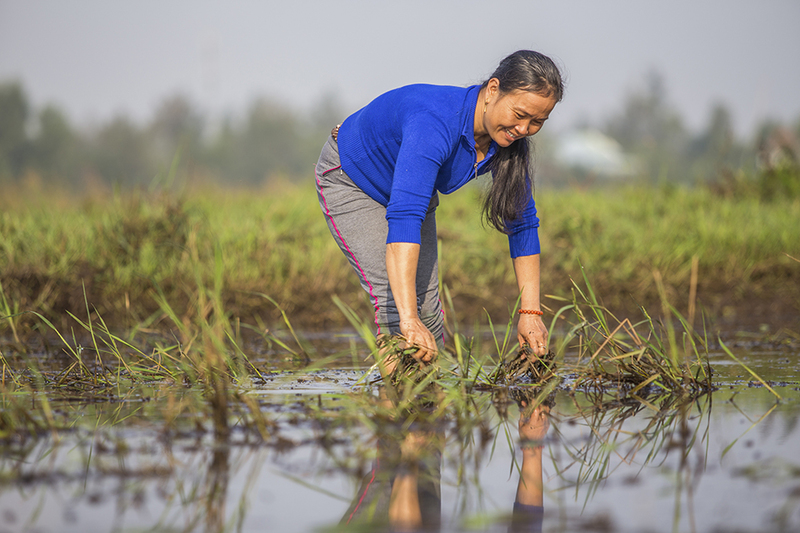 CRS has worked with local leaders and community members in central coastal and southern Mekong Delta communities since 2012 as part of a disaster risk reduction project. We are helping villages better prepare for and respond to natural disasters by identifying and addressing local risks, establishing early warning systems and evacuation plans, building disaster-resilient housing and diversifying livelihoods. CRS has already supported more than 110 village task forces to deal with natural disasters, including providing communities with early warning equipment. As the frequency and severity of climate-change-related weather events increases, we are helping at-risk communities like Hau’s meet the challenges of today—and tomorrow.